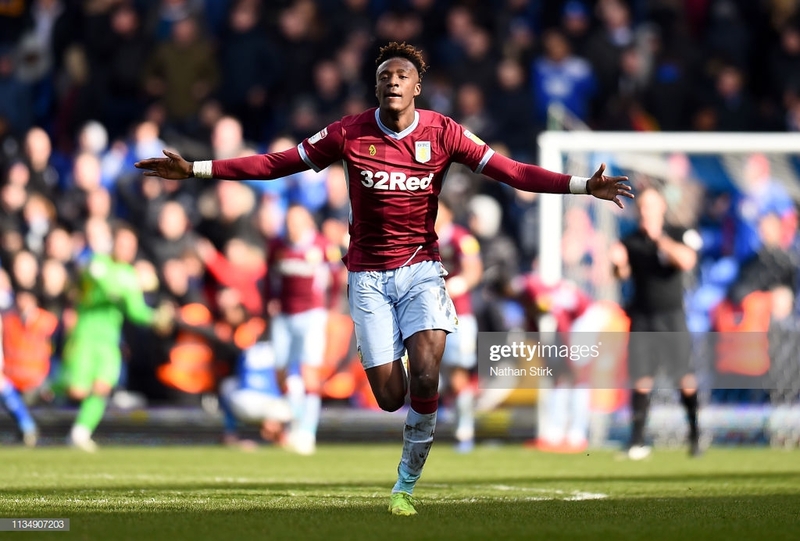 Tammy Abraham has set his sights on returning to Chelsea, following his loan move to Championship club Aston Villa this season. How grateful have Aston Villa been for the striker's services, scoring on 21 occasions in the league, just as Dean Smith's side have made a sudden surge into the promotion places. Villa Park is the third stadium in Abraham's loanee life cycle, featuring for Swansea City and Bristol City whilst still on the the Blues books. One more potential Premier League move broke down earlier this campaign, a switch to Wolves almost on the cards for the 21-year-old. Instead, the young forward has fixed ambitions on returning to the top division with Chelsea and believes he has demonstrated enough to warrant a place in the team. "That's the aim going into next season," Abraham told Sky Sports News, on his possible return to Stamford Bridge. "As a young kid, I've always believed I will play for Chelsea. I always believe that." Chelsea should seriously consider the re-arrival of Abraham after the club breached Article 19 of the 'FIFA Regulations on the Status and Transfer of Players', meaning they cannot sign a player in the next two transfer windows. With Gonzalo Higuain only on loan, Alvaro Morata yet to make a definitive mark and Olivier Giroud getting into his early 30's, Abraham could just be the solution, in the short term at least. Also as a man in form, Abraham is aware of his own talent, telling Sky Sports, "I think I have the ability to. I just have to, when I get the opportunity, grab it with two hands." Having recently been selected as part of Aidy Boothroyd's England U21 squad for friendlies in preparation for the U21 European Finals this June, Abraham will be aiming for a summer of silverware and a permanent signature at Chelsea. Another of Chelsea's young guns has been hogging the headlines, as Callum Hudson-Odoi was called up for Gareth Southgate's senior team for the first time. Abraham was more than happy to witness his potential team mate make the cut, saying, "Watching him grow up to where he is now, he's done very well. He's more than deserved this call up, I'm very happy for him. An attacking force of Abraham and Hudson-Odoi would be a Chelsea fans dream, however the latter's future in London has come under constant question, with Bayern Munich likely to make another move for the 18-year-old in the coming months.